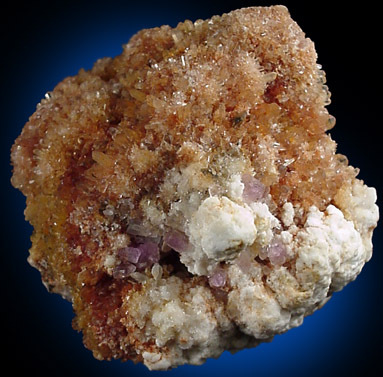 Description: hemispherical formation, hollow on the inside, completely overgrown with colorless to brownish creedite crystals. 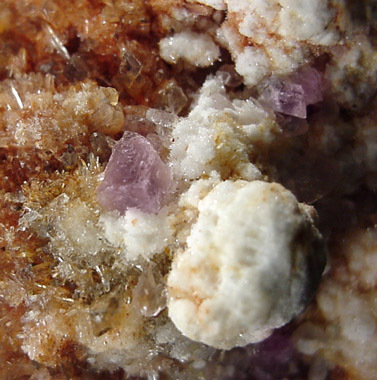 Several pale purple fluorite crystals are nestled in a small area near the base. 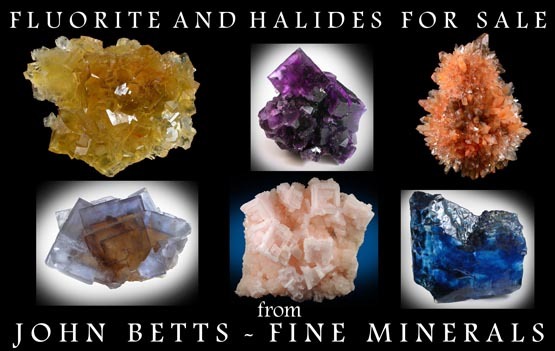 Good specimen of a rare mineral.